After the mental clarity and physical strength I achieve from doing yoga, I want to feed my mind and body with an equal amount of intent and integrity. My favorite food is the house special smoothie from Naturewell. But an extra $7 everyday adds up so I decided to bring out the blender. 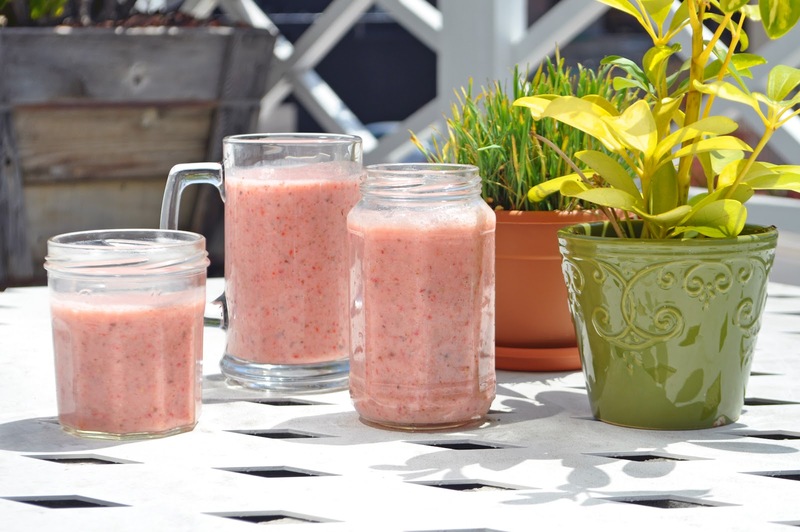 In a blender, blend almond milk, banana, flaxseed, honey, and strawberries until smooth.